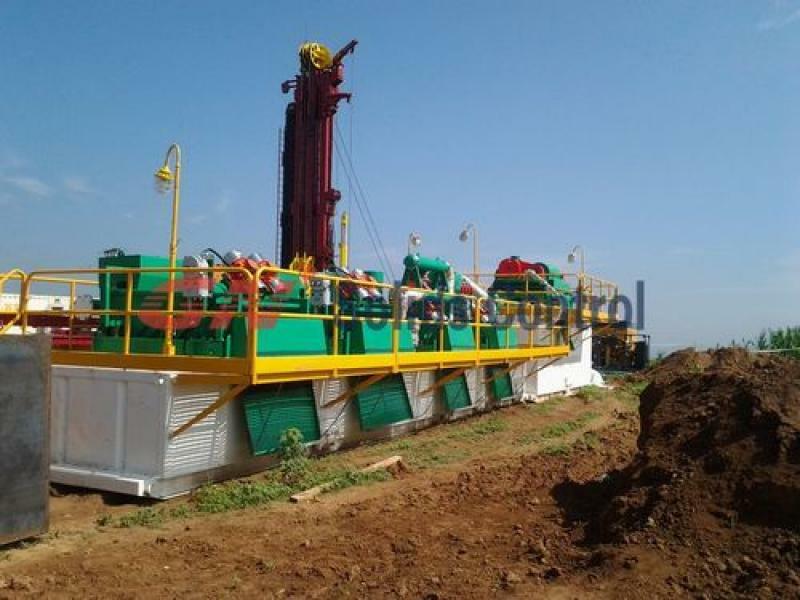 GN manufacture drilling mud system for oilfield drilling, HDD, geothermal, water well, gas drilling, CBM, dredging slurry separation, piling, TBM, etc. 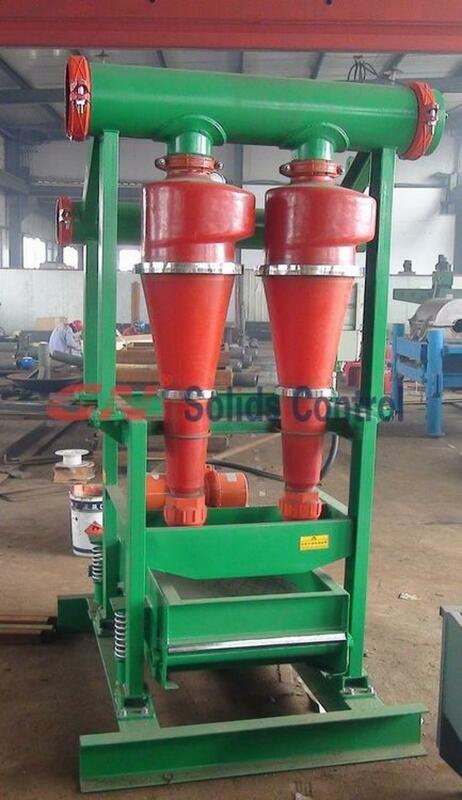 GN produced drilling mud system are with compact design, good performance (usually other supplier only install desilter cone after shale shaker, but GN install both desander cone and desilter cone) and competitive price. 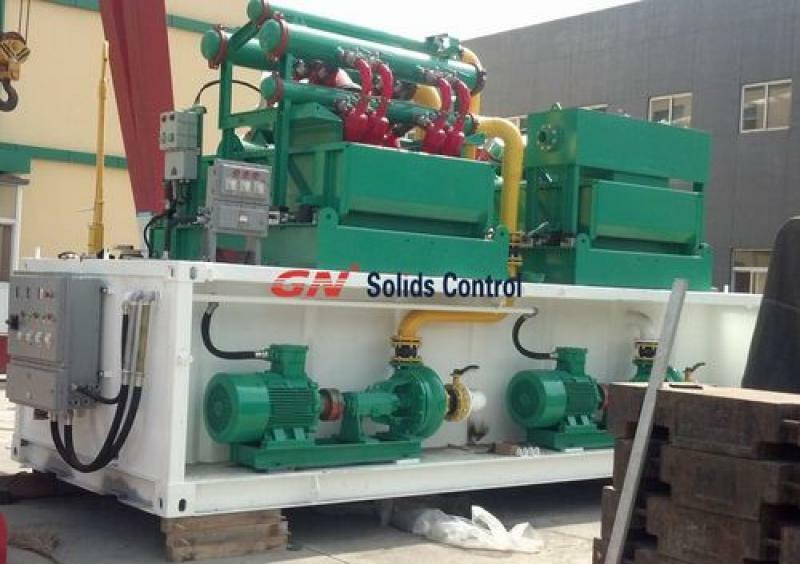 GN also cooperated with other mud tank suppliers to provide only solids control equipments, if you are a mud tank supplier and looking for shale shaker, mud cleaner, decanter centrifuge, pls contact GN solids control, we also provide mud agitator and centrifugal pump in stock. 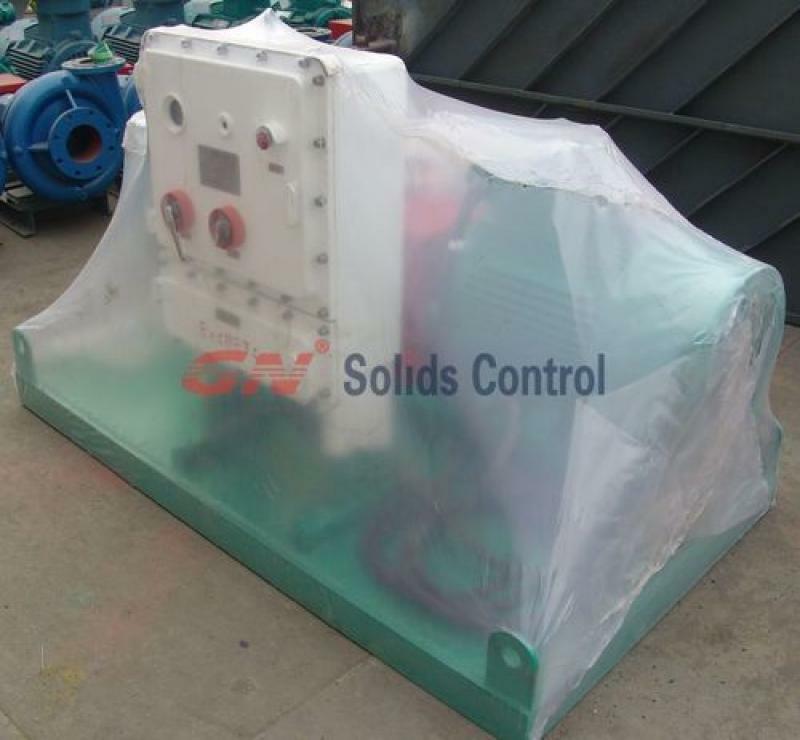 GN solids control has 2 units of 8×6 centrifugal pumps in stock, the footprint is same with Mission pump, with 100HP electric motor, skid, pump and wooden box package, which is ready for shipment. The electric motor is with 460V/60HZ, 3 phase, explosion proof. We can provide sea freight or air freight shipment according to your operation time. Except for the centrifugal pump, we also have 10HP mud agitator, mud gas separator, flare ignition device, mud hoppers, shale shakers, desander, desilter, etc. The processing rate is 1400gallons/min, with head 35m, the impeller size can be customized. Mud tank is the necessary components in a complete mud system, there are shale shaker, desander, desilter, centrifugal pumps, mud agitator, mud gun on the mud system tank. The main components for the tank including hammer unions, butterfly valve, gate valve, flexible connection hose, clean gate, pipelines, lights, electric control system, hand rails, walkway, stairs, man hole and solids control equipments. Above are the main mud system tank components, sometimes there are some other components, like mud hopper, mixing pump, sun-proof cover, mud gas separator, vacuum degasser. Hydrocyclones are applicable in silt separation for dredging slurry separation. There are various size hydrocyclones, 2inch, 4inch, 8 inch, 10 inch, 12 inch, in oilfield drilling solids control system, the most common size is 4 inch, 10 inch and 12 inch. In the other application such as mining slurry separation, dredging slurry separation, in which include more silt, 2 inch, 4 inch , 6 inch is more popular. 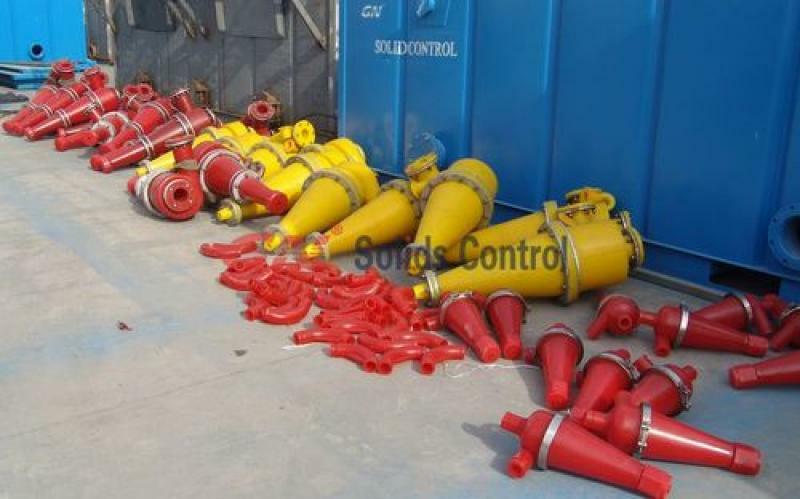 You can get complete solution for silt separation from GN, we will put different qty and size hydrocyclones together so they will have many different assemblys with different cutting point separation and treating capacity, and match different model feeding pump. Now we have 500gpm, 1000gpm, 1500gpm 3 options mud cleaner, desander, desilter. Before GN provide 3 size desander cyclones, 8 inch, 10 inch and 12 inch. The 8inch cyclone is cast iron with Polyurethane material. The 10 inch and 12 inch desander cone is 100% PU material. Now our standard cone size is 10 inch with PU material, and the installation dimension is replaceable with Derrick 10 inch cone. The cut point separation is 45~75 microns, which is usually used after shale shaker and before desilter cone. We have 3 options for the desander cyclones, 1ea cone can treat 500gpm, 2ea cone can treat 1000gpm, 3ea cone can treat 1500gpm. You can put the desander cyclones on desander equipment( without underflow shaker), or on GNZS752 shale shaker( mini shaker) or GNZS703 shaker to be act as mud cleaner.